Many times he is taken advantage of for his innocence. Innocence-What a concept. Wide eyed and naive, this character becomes seasoned in the ways of the world. He develops feelings and emotions he never experienced before; anger, sadness, jealousy and regret. Those feelings of jealousy and regret (in my opinion) stings the most. We become so caught up the “real world” that we have lost ourselves. We lost our innocence. What would “little” you say to the lifestyle you currently live? 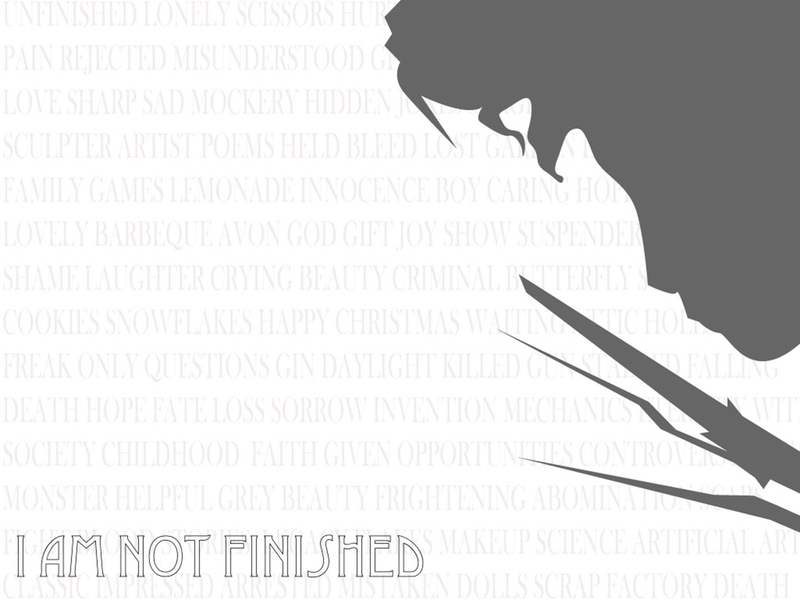 “I am not finished.” Words to live by. Keep that childlike innocence alive.